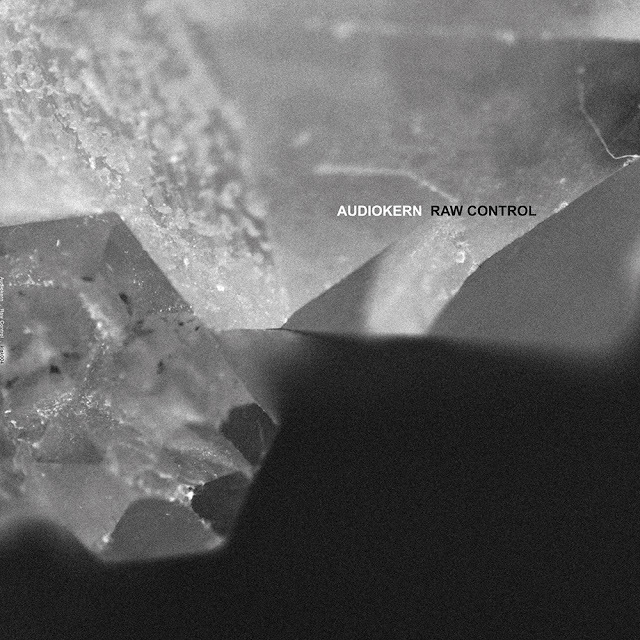 Experimental music is always a pleasure, Audiokern is known for his experimentations with modular sound creation, and having a persistent attitude that the music world is “wide open.” His upcoming EP Raw Control reflects both of these details, using sounds that have most likely never been heard before, and making up its own rules. Overview: Swiss producer Audiokern is set to release his “Raw Control” EP this November 9th. Audiokern is known for his experimentations with modular sound creation, and having a persistent attitude that the music world is “wide open.” This EP reflects both of these details, using sounds that have most likely never been heard before, and making up its own rules. The EP begins, interestingly enough, with the Tobias. remix of the track “Sorry,” fully two tracks before the original. This placement works to the advantage of the EP, with creeping minimalistic sound bytes that echo within a singular space giving a glimpse of the experimentation that will follow throughout the rest of the EP. Vocal samples surprise the listener as they appear in different places, seemingly out of time, as rhythms are interlaced just enough to provide a loose fabric upon which to present the rest of the sonic oddities. Despite how disjointed the track is, reverb changes near the end bring the music closer to the listener, allowing it to deftly wind to a halt. 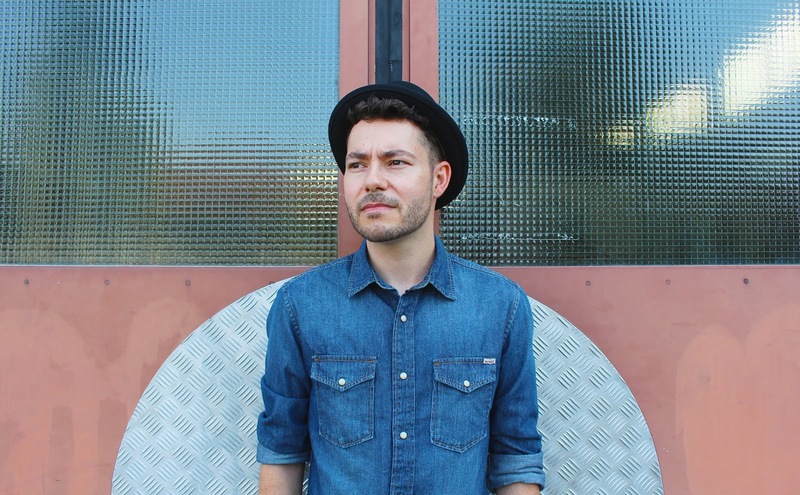 The second track, “Broken Silence,” puts the listener in what seems to be an unending surreal cycle, and evokes the feeling of being stuck in a barren wasteland. 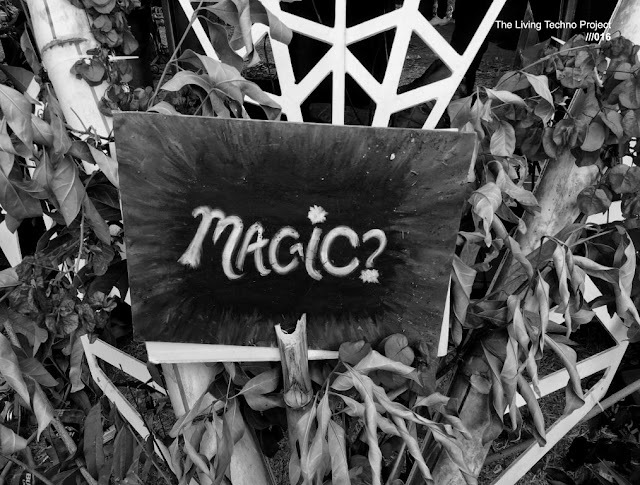 Samples that initially seem recognizable are distorted and transformed, while jarring hums grate against the ears and low, thumping booms seem to predict impending doom. The original version of “Sorry” begins somewhat more steadily than it’s remix, with a regularly timed percussion pattern being interrupted sporadically by vocal clips. The speaker in the vocal samples seems to be stuttering, never able to finish a phrase or an idea besides “I’m sorry.” Events that trigger twirling patterns trailing behind them contribute to the somewhat disoriented mood. As the pace of the track slowly picks up, timing becomes more regular, all of the previously presented samples gain focus, and the chaotic is allowed to transform into the cohesive. This is very important for the EP as a whole, as the transition settling into comfort prepares the listener for the EP’s closing track. “Raw Control,” the grooviest track on the EP, continues and expands upon the cohesive nature that can be heard at the end of “Sorry,” a contrast to many other moments on the EP that are full of uncertainty and purposeful juxtaposition. Squeaks, creaks, and mumbles punctuate the relentless rhythmic base, changing its nature simply by emphasizing specific moments. Halfway through the track, a shaker sound introduces a more human element to the soundscape that morphs into a hi-hat groove that is almost funky. Despite this development, the track seems to hover underneath a threshold, pushing against it and stretching it, but never breaking through, a tactic that holds the listener captive for the duration of the track. 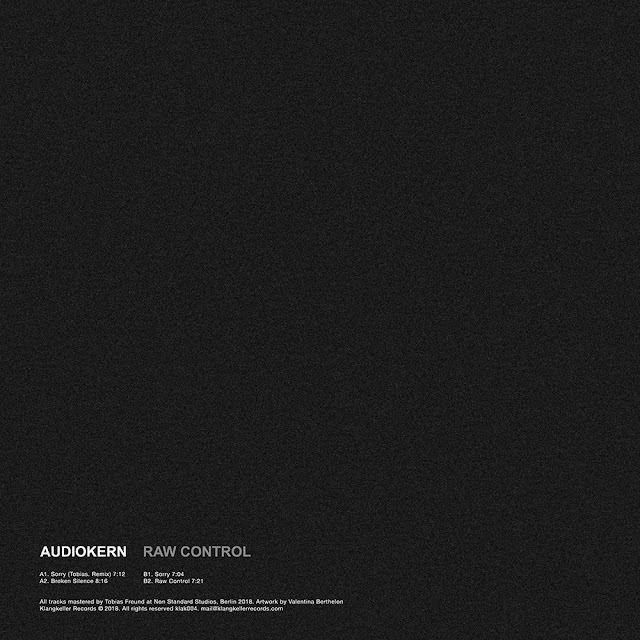 Whether it is because of the constant but almost imperceptible background drone or the fading echoes that regenerate and last much longer than they seem they should, Audiokern effectively hypnotizes the listener with “Raw Control” and puts them in a state of zoned-out attention.